To imagine any meaningful progress in “Science” without philosophy makes no more sense than to attempt “Philosophy” without science! The use of advanced science without the tools of philosophy would certainly lead to the destruction of mankind or worse. The use of philosophy combined with our developing knowledge of science will lead to a greater freedom for mankind, while fully liberating that which we define as humanity. 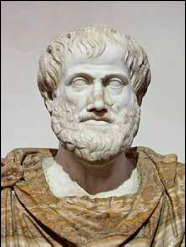 To proceed to the next page click on the "Link" to the right or use the drop down menu at the top of the page, titled "Aristotle"
I’m currently a postdoctoral scholar at the University of Kentucky and a philosophy instructor at Asbury University. I completed my PhD in philosophy under the direction of David Bradshaw. I also hold a master’s degree in Orthodox Theology from the University of Balamand and a bachelor’s in Humanities from Biola University. Click here to enter the Philosophy Portal. ​The Wikipedia "Get to philosophy" trick. Published on Jan 31, 2017Click any blue link (that's not in parentheses) on any Wikipedia page, then repeat on the new page. This process will ALWAYS lead you to Philosophy. Why is this? I present one explanation. And of course, Wikipedia itself, starting with some random article.